Storey & Pip is an adorable shop that specializes in things for baby. Formerly known as tweet baby designs, Story & Pip carries teething jewelry for baby that are stylish and perfect for keeping your babies little mouths soothed while they're teeth are coming in. Here's more from Ashlee! Hi there! 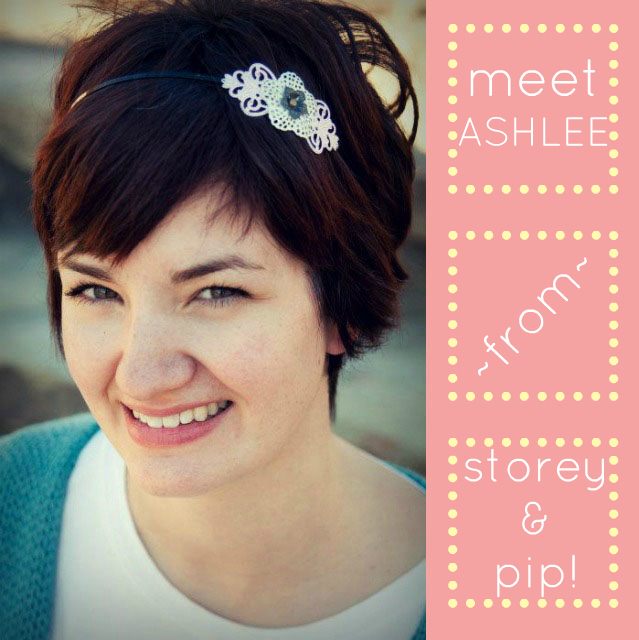 Im Ashlee, the girl behind Storey and Pip Handmade. For 4 years my shop was Tweet Baby Designs, but 2012 was the year for a change, an expansion of sorts. I was ready to dig into my love of all things art and step out of the box of baby items. I still sell my signature items but my mind is free to create beyond that. I have always made things that were helpful for a mama to do what she does best, so that will never change. Who knows what will end up in this shop of mine, but its guaranteed to be bright, fun and useful. I am a wife, a mama to 7.5 kids (#8 will arrive in August) and a lover of Jesus. I am passionate about helping women learn to create because its what we were all made to do. So stop by the shop and browse the aisles, you might find something you love. She's SUCH a doll. 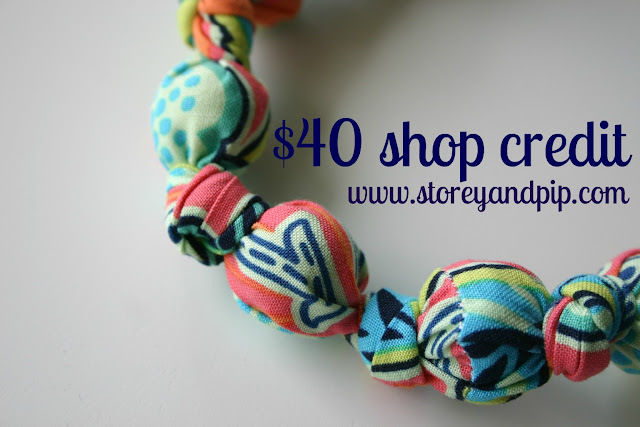 Today, Ashlee is offering one lucky reader a $40 shop credit! You can also use the code OHSWEETJOY15 for a great discount. Pop on over & browse, then let us know your favorite item in the Storey & Pip shop. Love the olive trellis chomping necklace for babies. I love the plum chomping necklace for moms and babies! I love the sweet pink polka dot fabric necklace!!! I like the clear lemon baltic amber teething necklace! 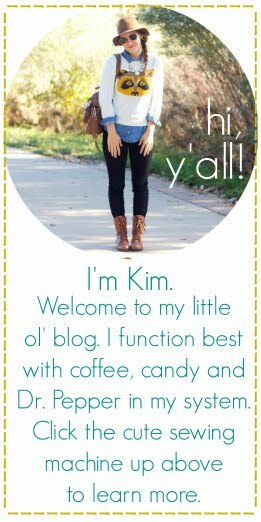 i follow oh, sweet joy thru bloglovin! i follow oh, sweet joy thru GFC. I love the white & gray Amy butler chomper! I'm following Storey & Pip on Twitter! the pink polka dot chomper is adorable! Love the chomping necklace in warm chevron. I follow OSJ on Twitter. I follow Storey and Pip on Twitter.